All of us know from our childhood that Superman was born in Krypton, spent his childhood in town of Smallville and worked (as Clark Kent) in Metropolis. 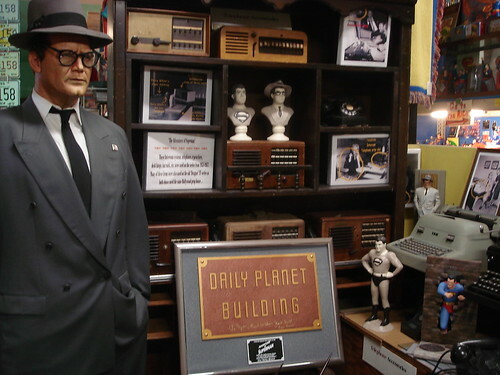 All these places were fictional places created by writer Jerry Siegel and artist Joe Shuster. 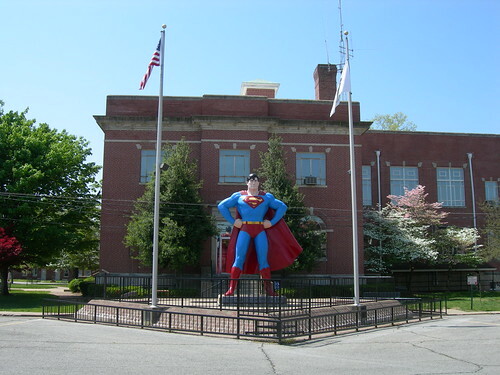 However a town named Metropolis does exist in Illinois, Ohio and taking advantage of its name, the town's people wanted the town to be officially recognised as "Hometown of Superman". 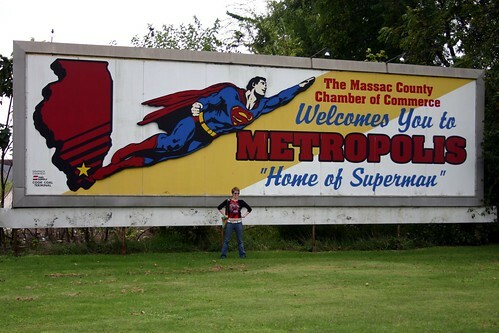 In 1972 Illinois State Legislature passed a resolution declaring the town of Metropolis as the Hometown of Superman. 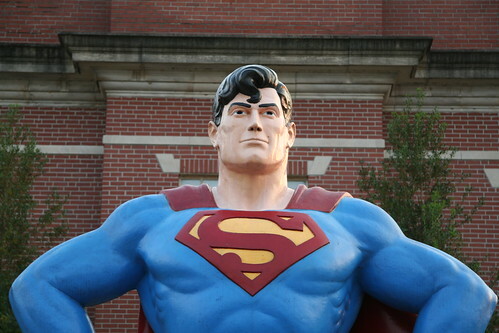 In 1986 a seven-foot fiberglass statute of Superman was unveiled. However this being fragile was regularly vandalised. 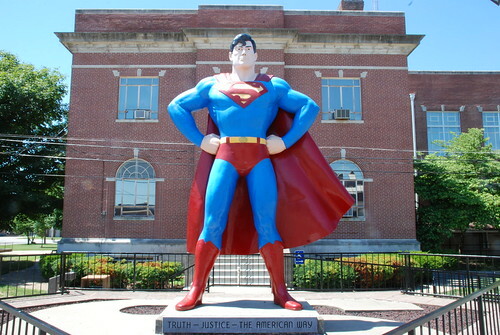 Subsequently in 1993 a giant 15 feet tall statue of 'Man of Steel' was unveiled in front of the County Court. The base of the statue is in the shape of Superman emblem. 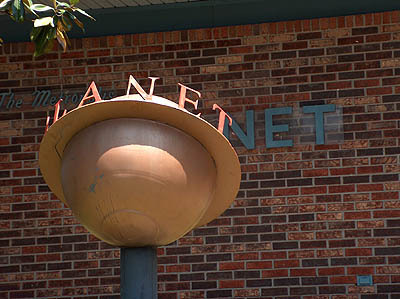 Across the road there is a Museum containing a huge collection of more than over 20,000 Superman's memorabilia. 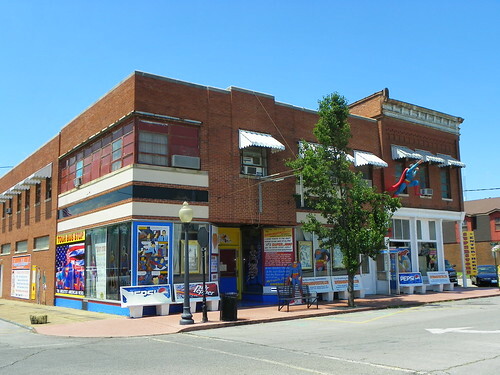 The town is full of names associated with Superman. There is a lane known as 'Lois Lane'. In June each year, the city holds an annual Superman Celebration and it is big draw with fans of Superman. US President Barack Obama (the then senator from Illinois State) poses in front of the Superman on August 14, 2006. Excellent post and outstanding website. I'm honored that you have used one of my Creative Commons photos. Thank you J. Stephen. Main credit for my Armchair Travelogue goes to photographers like you, who post their images under Creative Commons. My apologies for the typographical error in the name. I have corrected it now.